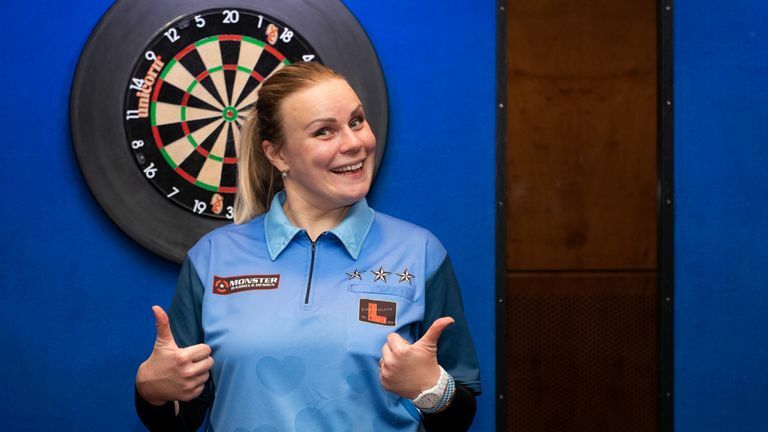 Anastasia Dobromyslova will make her return to the PDC World Championship in December. Nine years on from her previous Ally Pally appearance, Dobromyslova will feature again at the PDC’s leading event. She battled through the Women’s Rest of the World Qualifier to earn her World Championship place. The three-time BDO world champion is ready to test herself again on the PDC circuit. But she admitted that the qualifier wasn’t as straightforward as she made it look. “First of all I was really nervous, putting too much pressure on myself because I wanted to qualify so badly,” Dobromyslova told Sky Sports. “Then I thought, just relax and enjoy it and if you’re good enough you can make it, and obviously it worked. The 34-year-old, who is based in Ellesmere Port in Cheshire, will play Ryan Joyce in London. Should she win, Dobromyslova will play Simon Whitlock. She goes into the World Championship in fine form – which she is thankful for. “To be fair I played pretty well all day and although I qualified, it was really good for me to play so well,” the Russian ace said.